About the book: Twelve-year-old Gordy Stitser is one of the few people who knows the truth about the secret society of potion masters, because not only is Gordy's mom on the Board of Ruling Elixirists Worldwide (B.R.E.W. ), but she has also been training Gordy in the art of potion-making. Gordy is a natural, and every day he sneaks down to the basement lab to invent new potions using exotic ingredients like fire ant eggs, porcupine quills, and Bosnian tickling juice. 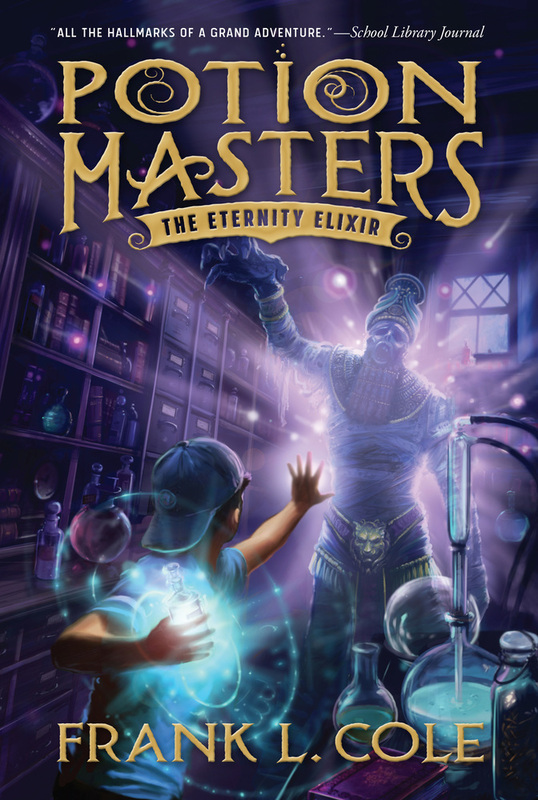 One afternoon, Gordy receives a mysterious package containing an extremely rare potion known as "The Eternity Elixir." In the right hands, the Elixir continues to protect society. But in the wrong hands, ti could destroy the world as we know it. Now, sinister potion masters are on the hunt to steal the Eternity Elixir. It's up to Gordy, his parents, and his best friends, Max and Adeline, to prevent an all-out potion war. My review: This book is such a great middle grade book for boys! They will love the action and adventure in it, and they'll love the hero, Gordy! The way this book is written, you most things through Gordy's eyes, there are a few parts where he's not present that you see it through someone else's eyes, but not very many. Gordy is a great character, he's smart and funny and he's seriously good a mixing potions. Better than many adults even. This book uses so much imagination, I love that! Gordy is able to mix potions and do crazy things like have an extra limb appear or make himself into a crazy creature to scare his friends for Halloween. It's a great skill to have, and I'm sure the kids reading this book will be envious! The plot is just right, it's full of action and adventure and Gordy...and sometimes his friends have to work hard to save the day several times. This is a great middle grade book that boys and girls alike will want to read again and again!